My girl goes to full day child care everyday but since I'm on maternity leave, I've decided to fetch her early from school every Friday so that we can go somewhere fun and spend time together. 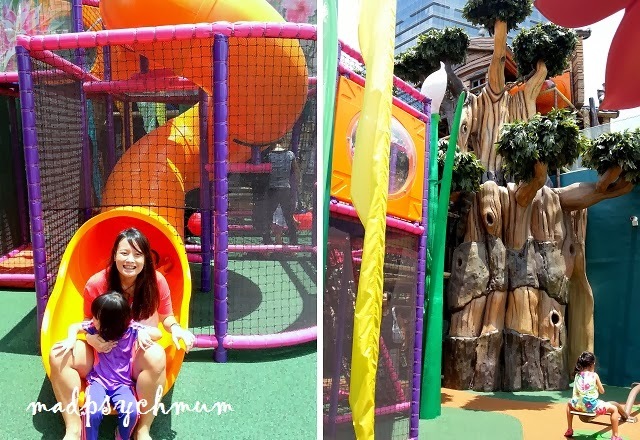 I had actually brought my girl to the Westgate playground 3 weeks before its opening as I thought that it was already opened. Sadly, it was not. 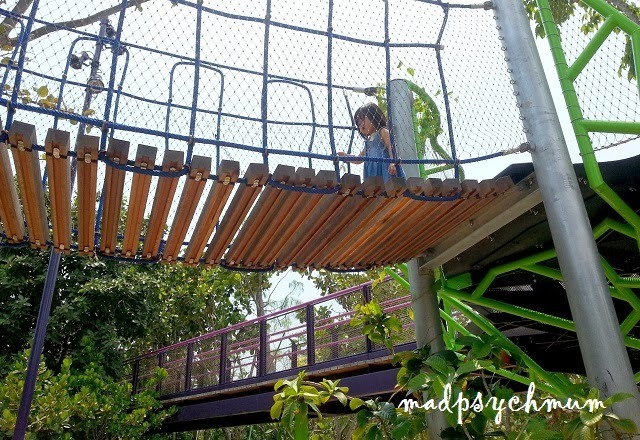 Since then, the girl kept asking me, "mummy, the tree house playground open already or not?" When I finally got news that it was going to be opened last week, I shared the good news with her and brought her there immediately (after using it as the reward for good behaviour of course). It was actually pretty scary for a young child. 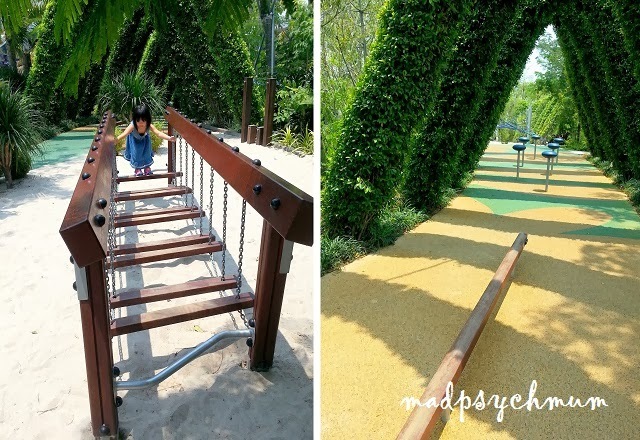 The sister said that this playground is more suitable for older or more daring children. 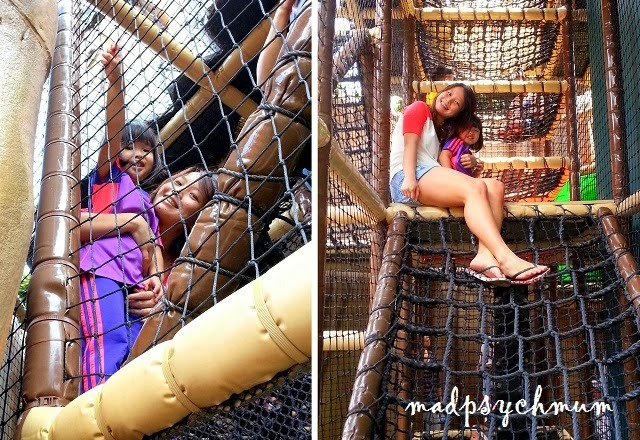 It is only suitable for younger children if they have an adult or an older child accompanying them. There was an area for younger children and toddlers but my girl got bored of it after a while. We decided to get my girl changed into her swim suit for some water play since the sun was scorching hot! 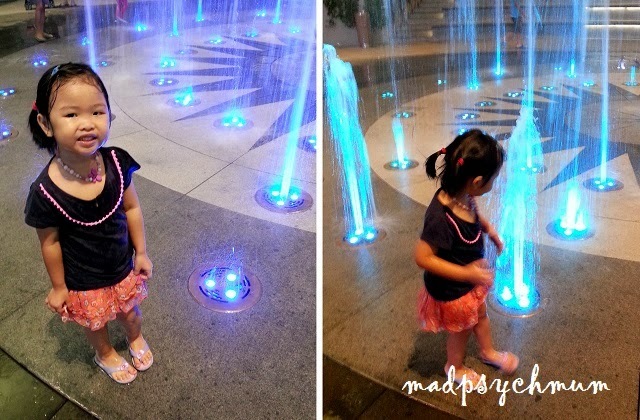 Although the little fountains were good enough for the little kids (babies and toddlers), it was really boring for the older kids. The area was also really cramped such that even the parents watching the kids had little place to stand. And the crowd on an ordinary weekday afternoon was also crazy! 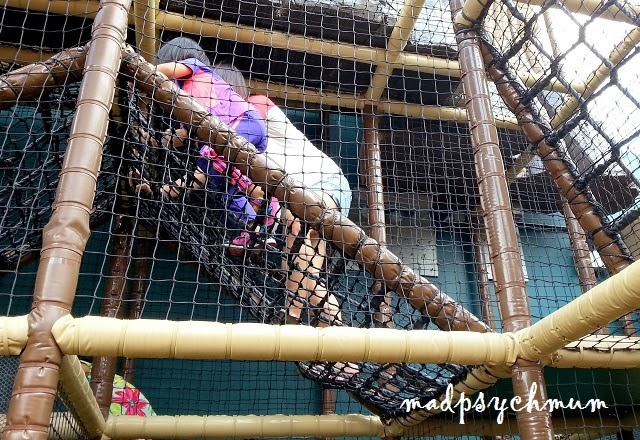 There were so many people at the playground, you would have thought it was the school holidays or a weekend or something! 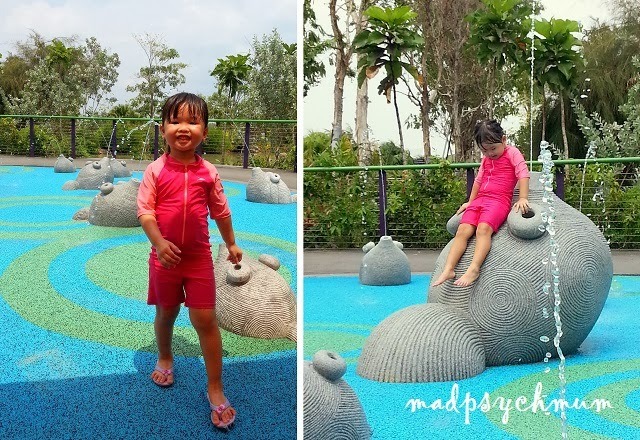 Maybe it's because the playground just opened; or maybe (and most likely) it is because Jurong East is a really crowded neighbourhood! 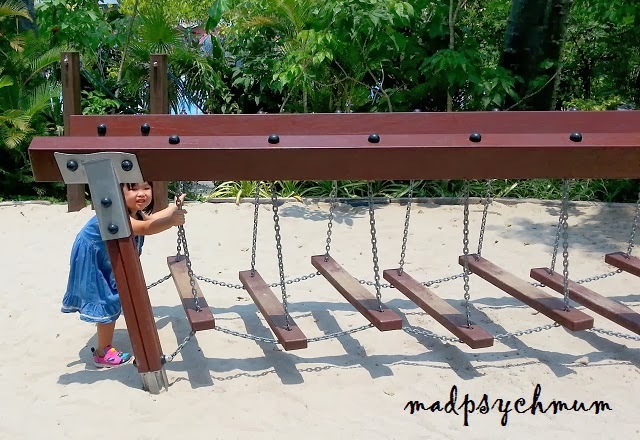 It is unlikely that I'll bring my girl back to this playground again, unless of course we happened to be there and my girl really wanted to play. 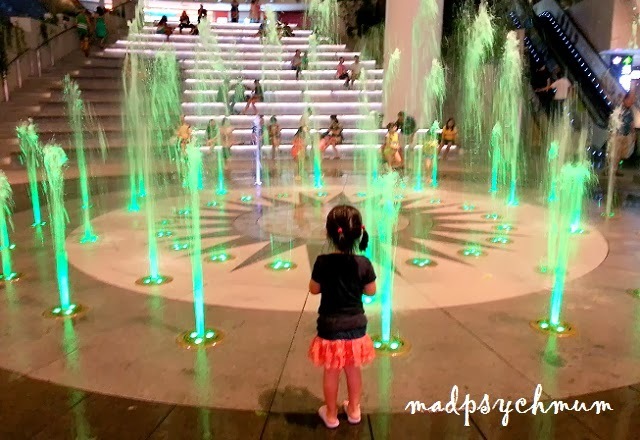 We were at Star Vista for dinner when we stumbled upon this fountain in the middle of the mall. However, I don't think the fountains are active all the time as we were there for dinner last Saturday and I saw a small display set up in the area where the fountain is (obviously this meant that the fountains are not active). You may need to give the mall a call to double check before heading down. Been wanting to check this place out ever since I've heard about its existence. 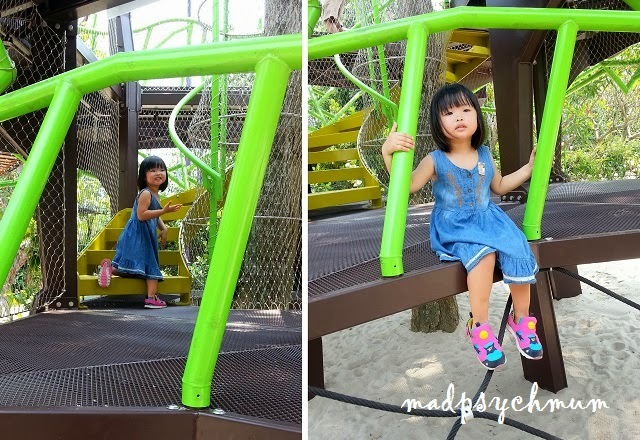 Once again, I brought my girl to this playground way too early before it was officially opened to the public (too excited you see). 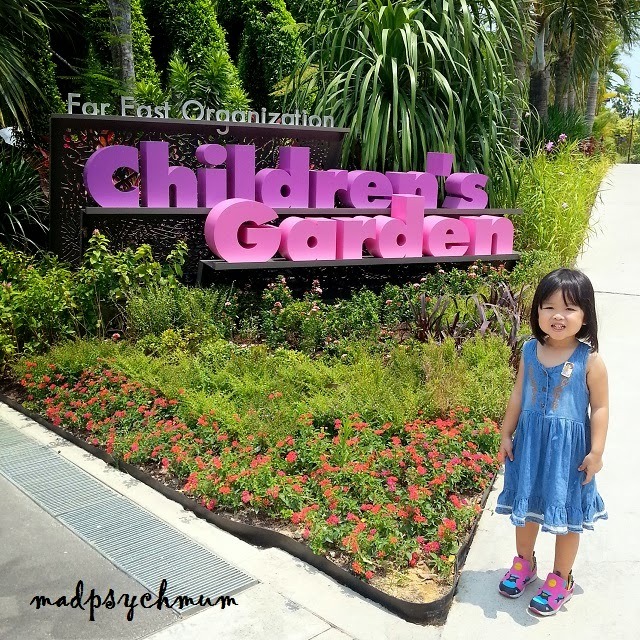 Last Friday I was sure it was opened so I picked an excited little girl from school and took her to the Children's Garden. 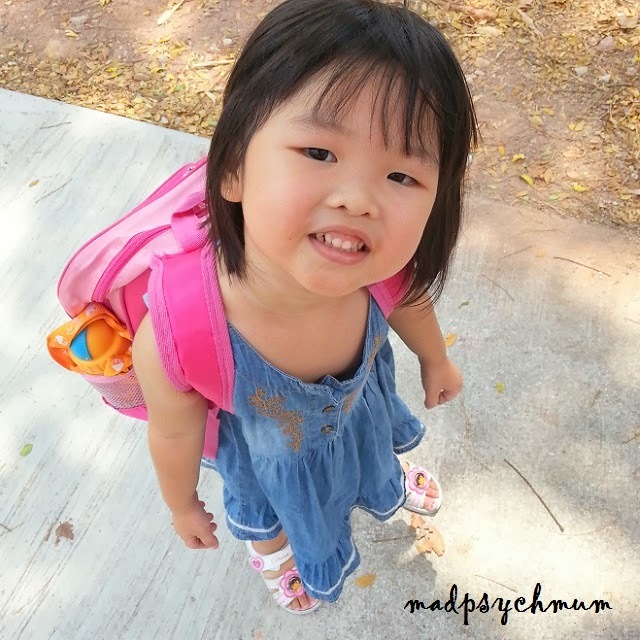 Yay, you bringing me out to the playground, right mummy?! 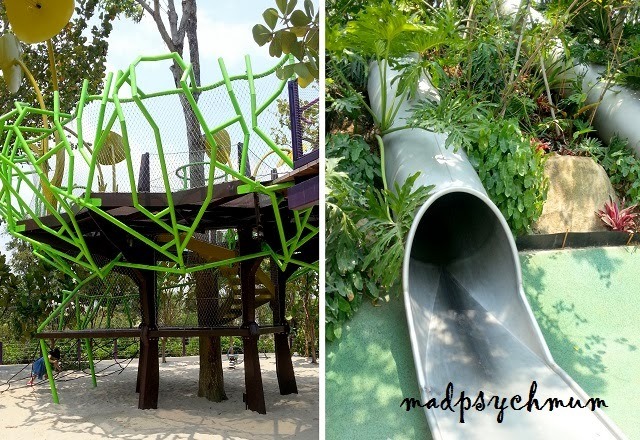 We started with the "dry" playground, which was actually for older children age 6-12 years old. But we thought we would let my girl try out the structures just for fun. 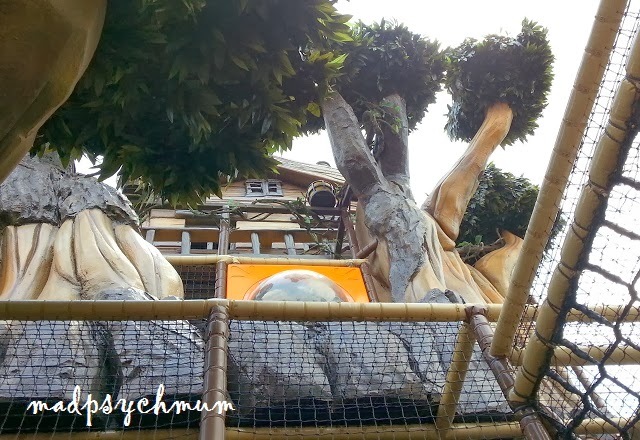 My girl needed some help to climb up this structure and it was a good thing that a staff was around to help her! 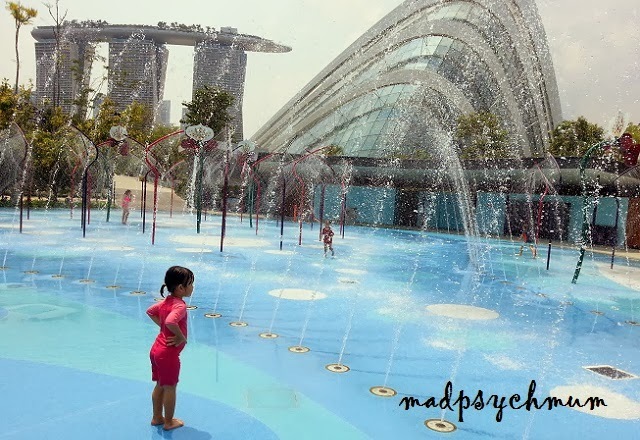 The heat of the afternoon sun drew us to the water playground, where we got my girl changed into her swim suit. I love that they kindly provided many lounge chairs for parents to relax while watching their children play in the fountains. 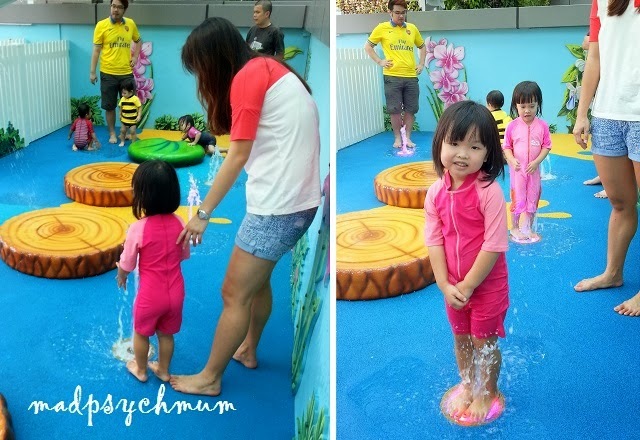 According to Gardens by the Bay, there are sensors within the water fountains which will detect the movement of the children and flow accordingly! Kinda cool in my opinion. 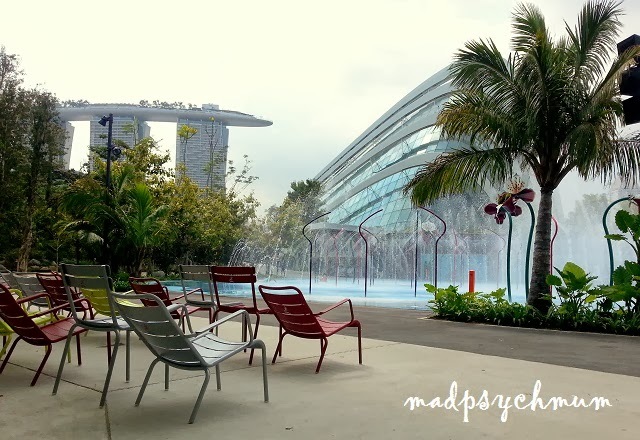 I think this is by far one of my favourite water playgrounds as the parents also get a place to relax (the lounge chairs are awesome!) and chit chat while their children play.